Comparing logging frameworks like NLog and Log4net with ELMAH is like comparing oranges and apples. Two different tools with different purposes. 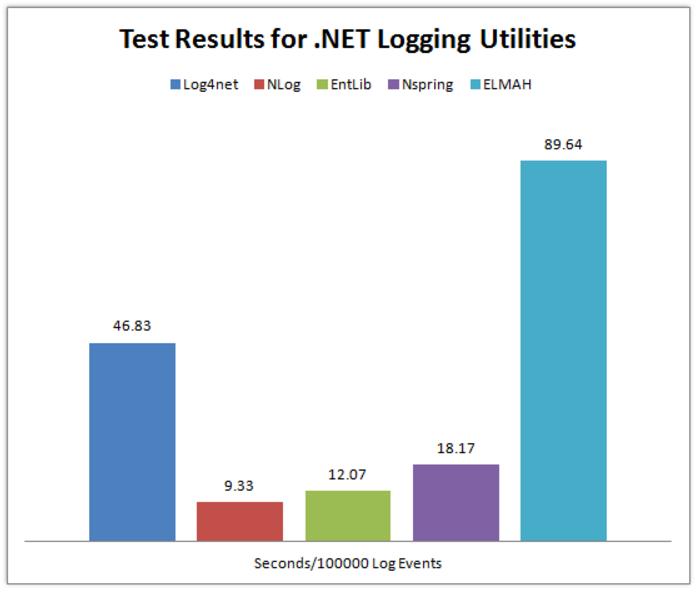 ELMAH logs 50 times more data that NLog and log4net, why it is of course slower. Your conclusion is similar to saying “querying objects in memory is faster than querying through a database, why you should always chose to keep your data in memory”. 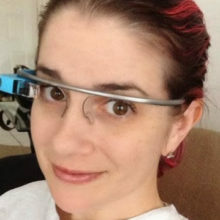 Use NLog, log4net or similar if you need to log debug, information, error messages etc. Use ELMAH if you want to log all uncaught exceptions on your website including detailed contextual information. You have a point, but if ELMAH is slower due to higher overhead, then it’s still worth benchmarking against other tools that could be easier to use and faster thank a “heavier” logging system. Thanks Jennifer, it was a good read. I actually designed and ran quite a lot of benchmarks and I noticed that performance greatly depends on configuration of logging systems so I think you should write also the configuration of the logging systems under test. Anyway I never found such a difference between NLog and Log4net so I’m really curious to see your NLog targets vs Log4net appenders configuration. In this case, the default configurations were used. As the other poster pointed out, your numbers could be different if you use different asynchronous settings. Interesting that you included nSpring since it hasn’t been touched by the author in over 10 years. Thankfully, it still work as is. It compiles in .NET 4.5.2 and runs well there. We’ve been using it since about 2005 in wide-ranging production environments and have always been happy with it’s features and performance. Was log4net tested with the async appender? No, for this benchmark the default configurations were used. As the developer of NSpring, I stumbled across this article by accident. It’s neat to see someone still using it; for a long time I got sporadic contacts from people continuing to use it in high-performance environments. I’ve been toying with the idea of developing a next-gen logging library sometime in the next year, as I’d write the code much differently today due to better compiler support for certain aspects of performance, plus ideas for new features. I see Serilog as getting more popular by the day, but maybe it was too new at the time this was written. Also, I agree with a previous poster that log4net should have been tested in async mode for a true performance apples-to-apples comparison. I’ve actually just launched a next-gen logging framework. I’ve named it NuLog. I’m actually looking for contributors to help too. Thanks for pointing this out. Our product management team left a comment on your blog. It would be great to know how NuLog is different from what`s currently available in rsyslog. I have created two separate projects one with Nlog and another with log4net for testing performance gain with their default configurations. I have a function that logs 2k lines. Log4net logged that 2k lines in approx 285 ms whereas Nlog logged same text within 7142 ms.
NLog File-target uses KeepFileOpen=false by default, which is very slow. Try and change to KeepFileOpen=true. Also it is a very good idea to enable <targets async=”true”>. Good suggestion Steve! We’ll try to do an update soon. Further to this, Rolf Kristensen of NLog has explained that NLog can be very flexibly configured, and he has kindly optimised my config so that it is like my Log4Net config. For reference, I had to use keepFileOpen=”true” and concurrentWrites=”false” to optimise for synchronous single windows file logging. Now the NLog and Log4Net performance is near identical, circa 450 milliseconds to write 10,000 lines, probably because they are both writing text to a Windows file in the same mode. That is going direct to the logger though, not through ILogger. There seems to be huge overhead making calls through the MS facade, regardless of the logging system behind it.